It’s Cinco de Mayo soon! 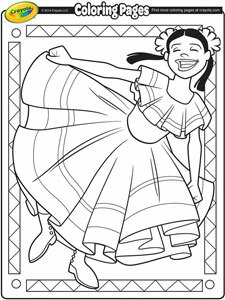 Celebrate this Mexican independence holiday with this roundup of super cute printable Cinco de Mayo coloring pages. A mariachi singer and a smiling dancing woman. 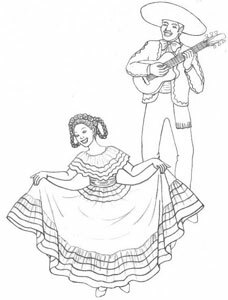 Both in traditional dress.Get this coloring page. A pair of cacti with faces holding maracas and wearing sombreros. There is a big number 5 in between them. 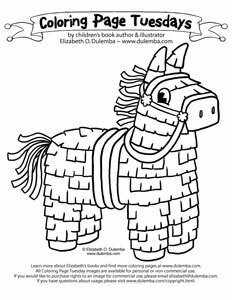 Get this coloring page. A young girl in traditional dress dancing and singing on Cinco de Mayo. Get this coloring page. This coloring page also doubles as a handwriting practice page. 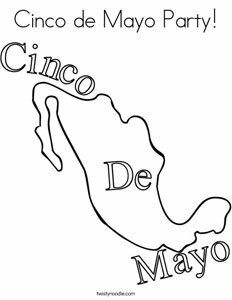 It features a cartoon shape of Mexico with the words Cinco De Mayo on it. Get this coloring page. My favorite of the collection. 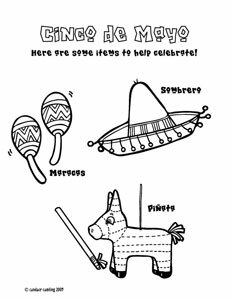 A coloring page listing many Cinco de Mayo themed words. 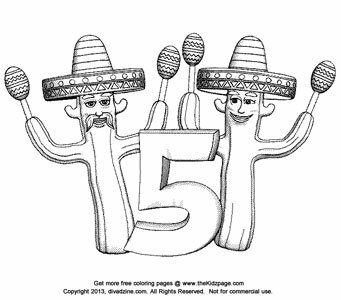 The items to color are tacos, a cactus wearing sombrero, and Mexican pottery with the cutest little faces. Get this coloring page. 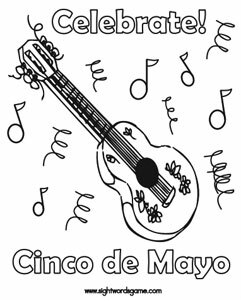 A musical-themed coloring page featuring a guitar surrounded by musical notes. 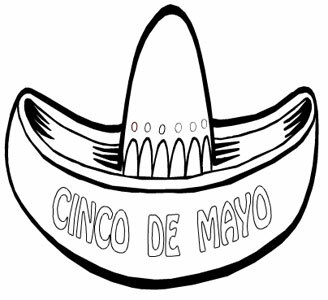 The text outline (colorable) reads “Celebrate Cinco de Mayo”. Get this coloring page. 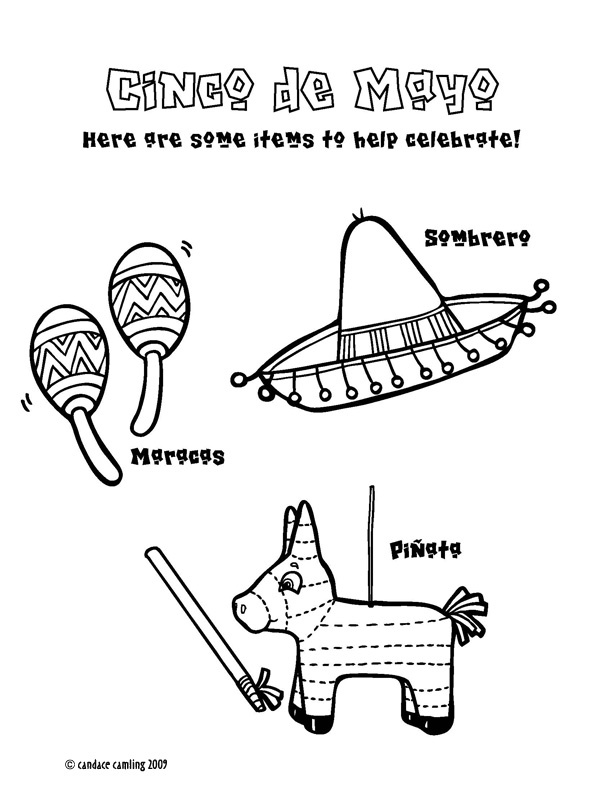 A coloring page with maracas, a pinata, and sombrero. 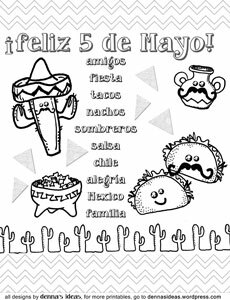 Each item is labeled and the title reads, “Cinco de Mayo – Here are some items to help celebrate!”. Get this coloring page. 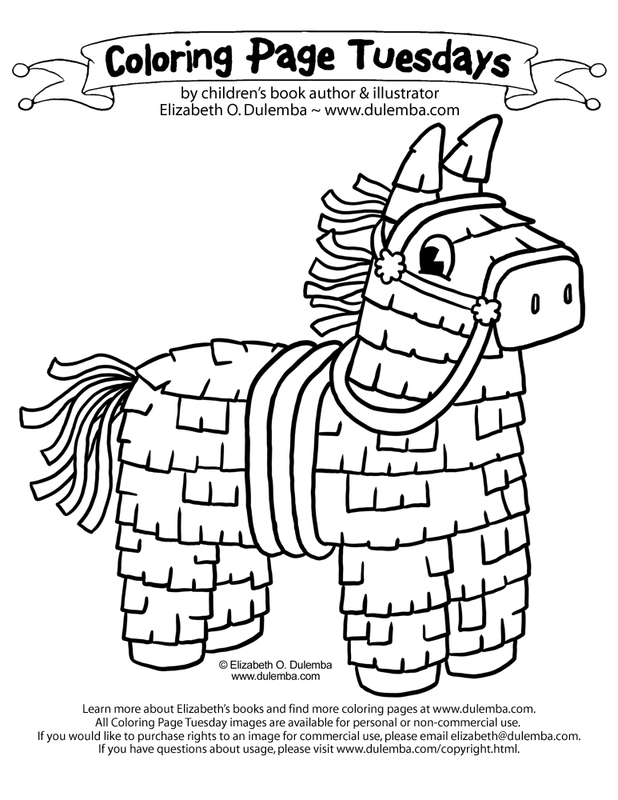 A wonderful cartoon horse pinata by children’s book author Elizabeth Dulemba. Get this coloring page. 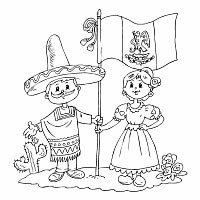 A coloring page of a Mexican couple holding the Mexican flag. Get this coloring page. 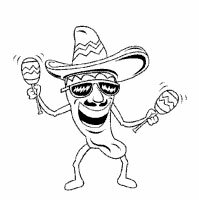 A funny Cinco de Mayo coloring sheet of a singing and dancing Chili Pepper Get this coloring page. 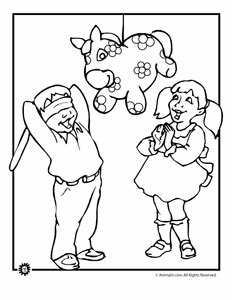 A boy and girl having great fun with a pinata. Get this coloring page. 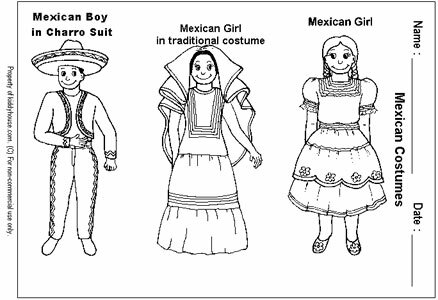 A cute coloring page featuring a Mexican girl, a Mexican girl wearing traditional dress, and a Mexican boy wearing a charro suit. Get this coloring page. A sombrero that says “Cinco de Mayo” on it. Get this coloring page.